Swimming pool toys are for all ages, including adults. 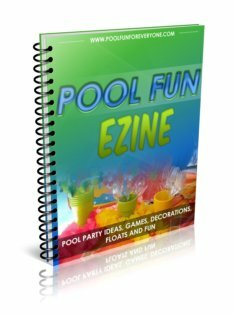 They can keep your kids and guests entertained and in the pool on hot summer days. 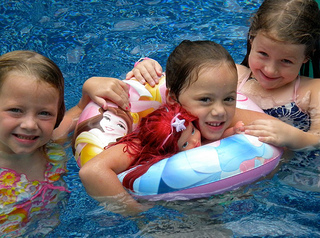 From floating Little Mermaids to ride-on sharks, there is a pool toy to delight everyone. There are some cool pool toys that you may never have seen before. Our grandchildren love swimming through these Finding Nemo spring hoops that sit on the bottom of the pool. We drop a couple of brightly colored plastic necklaces after the last hoop for a special treasure find. 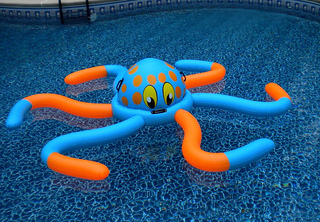 From floating lizards, sharks and alligators to jungle animal beach balls, floating pool toys appeal to all ages. 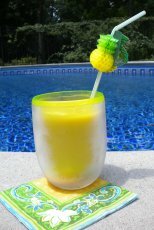 Use them as pool party decorations, party favors or as propps for swimming pool games and relays. We have had beach balls of all themes - such as pirate beach balls and wild animal beach balls to fish beach balls. Have them floating in the pool when the guests arrive. I don't know who has more fun - the kids or the adults with our kids pool toys. 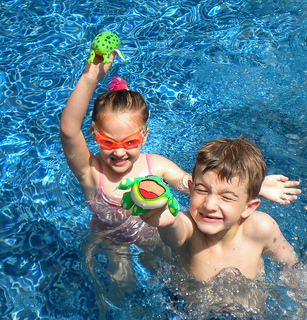 Kids make a great excuse to have some fun toys ready to go at your pool. Whether they are a splash frog, a dive egg, a catch game or a Little Mermaid, there is something for every age and interest. The right toys not only provide fun at the pool, they can be very motivating to help kids learn to swim under water, get their heads wet or swim across the pool. There is nothing quite as appealing as having a giant octopus, a long green alligator, or a ride on shark sitting in the middle of the pool. They provide hours of fun and entertainment and add a freshness to fun and games for kids of all ages. We try to have a fun pool float that corresponds to any pool party we are hosting - like an octopus for an Under the Sea Party, a ride on shark for a Shark Party, or inflatable swim rings shaped like tires for a Cars Party. 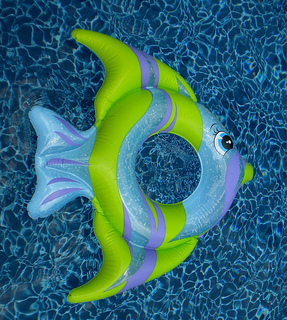 The most inexpensive, accessible, and easy to find of all the inflatable pool toys is the inflatable swim ring. 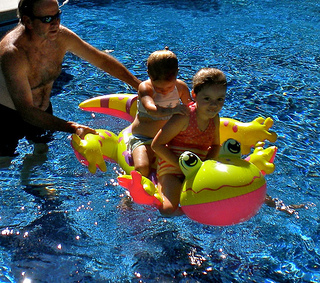 Our granddaughter's favorite pool toy last summer was an inflatable frog ring. She wore it and played with it every time she was at our pool. I bought it at our local grocery store for under $2.00. 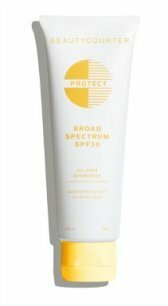 Be sure to get the kind that splits in the back - that's what made it so easy for her to use and take it off herself. 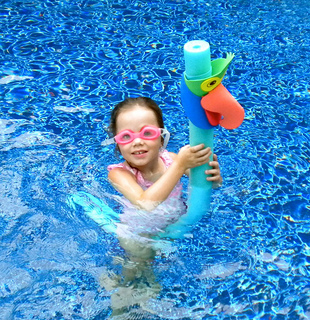 A pool dive toy is a must have for every pool. 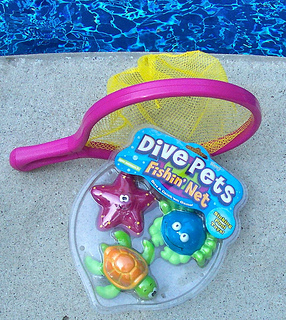 Whether it's diving for Spider Man or the Little Mermaid, there is a dive toy that appeals to all ages and interests. We have diving contests with our swimming guests even when it's not a party moment. Baby pool toys include baby floats and toys that entertain and keep them (and the parents) happy for more than just a couple of minutes. Floats with shade and toys that squeak and squirt keep kids happy and protected. Find out what has worked to keep our babies enjoying the water. Whoever invented swimming pool noodles came up with one of the most basic of all pool toys. A lot of fun for a small investment - we get a couple of new ones from our local dollar store every spring. After one season they need to be replaced - but who cares at a dollar a piece. 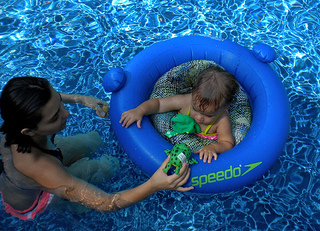 This swimming pool toy appeals to all ages - kids and adults love sitting on them and using them as floats. They are great to have for pool games as well. OK - it's great to have all these fun toys for your pool, but where are you going to put them all when the day is done? 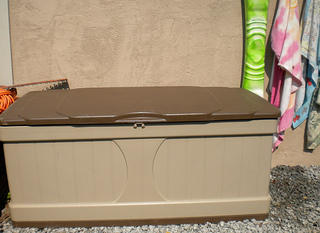 You want a place that will keep your pool area looking tidy, but easily accessible when it's time to swim.